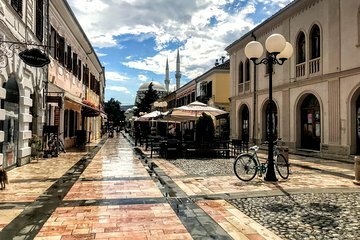 Go on an in-depth exploration of Shkoder on this full-day tour. Depart from your hotel in an air-conditioned coach with a driver-guide and make your way to Lezha. Wander through the historical city and visit its prehistoric castle. Continue downhill to Shkoder, where you can visit Rozafa Castle, a Catholic cathedral, the Museum of the Cathedral, the main mosque, a major pedestrian boulevard, and more.